Most yoga teams spend the majority of their time in pretzel poses. Though we all are deeply involved in our yoga practice, each one of us is equally as invested in helping people heal through the power of our medically-based program. Our YogaMedics Certified therapists and team leaders love what we do, and we love to share it with others with the help of our advisors. Jennifer has been practicing yoga since 2004. 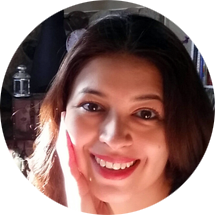 Her personal experiences and her passion for studying the human body has led her to believe that Yoga as therapy is wonderful for both emotional and physical healing. Gentle movement, mindfulness, and yogic breathing techniques come together in harmony to heal the body at it’s own natural pace with ease. 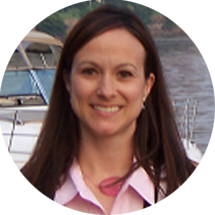 Jennifer has studied Exercise Science and Wellness, Health Promotion, and Injury Prevention at Oakland University. Yogamedics Therapist Certified in Backcare and Custom Individualized Program. 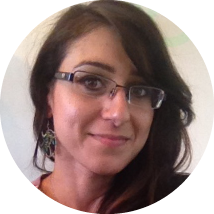 Karina focuses on a therapeutic Hatha based yoga and prides herself on being able to bring a warm and safe atmosphere to the practice. She includes positive messaging with the focus on integrating body, mind and spirit. She believes that alignment and balance are paramount to any style of yoga practice. She has been practicing yoga for approximately 6 years. Her studies include Bikram, Ashtanga, Hatha, Yin, Vinyasa and Backcare. She uses these styles of yoga as a basis to create a blend that encompasses the best attributes of them all. She strongly believes in the health benefits of therapeutic yoga because it has transformed her own life and the lives of others. Lisa began practicing and studying yoga in 2009. 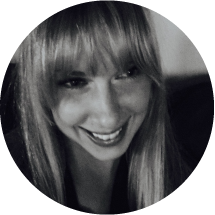 She’s passionate about yoga therapy’s healing abilities and thrives on helping clients empower themselves and discover their path to health and well-being. She views each day as an opportunity to grow and be of service. Melanie Schlutow has been an RN since 2004, specializing in Emergency-Trauma. She graduated with a Bachelor’s in Nursing (BSN) in 2004 and Master’s in the Science of Nursing (MSN) in 2011. She works with individual clients as well as leading group classes. In addition to therapeutic classes and clients, she also teaches vinyasa, prenatal, and postnatal Yoga classes. Melanie has long had an interest and fascination with the mind-body connection. She continues to be inspired by the clients with whom she works. Pilar has been practicing yoga for over 15 years. She received her initial teacher training from The International Sivananda Yoga Vedanta Center in Quebec. She received her BA from Oakland University. Her training with YogaMedics has been an amazing journey, deepening her knowledge and understanding of the science behind yoga and its ability to provide physical and emotional healing to all walks of life. Pilar feels humbled and honored to be able to share the gifts of yoga with others. After working in healthcare for over 10 years, Seema realized she wanted to help heal others with the practice of yoga and meditation in combination with her passion for science and medicine. Working in therapeutics has offered growth and healing to many of her clients, including those who have PTSD, chronic pain, spinal cord injuries, anxiety and depression, scoliosis, and cancer. 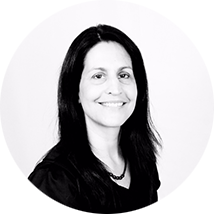 A yoga practitioner since 2001, Sharon is registered with Yoga Alliance and on the board of the Yoga Association of Greater Detroit. She has a Master’s degree in Teaching. 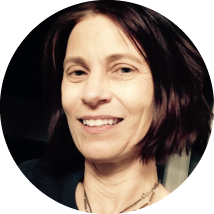 Sharon teaches Spine Care classes and works with clients with traumatic brain injury. Shree was introduced to Yoga in her late twenties. It helped her to overcome an autoimmune disease from which she suffered reducing her chronic pain and swelling while strengthening her body and mentally uplifting her. This motivated her to complete her Masters in Biochemistry and receive a PhD in Chemistry. She came to for her Fellowship at Karmanos Cancer Institute in Detroit to develop novel anticancer drugs for resistant Pancreatic cancer and has contributed two patents to Wayne State University. 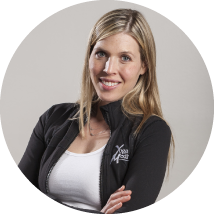 Her passion is to help clients develop stamina, strengthen the body and mind contributing to overall well-being. 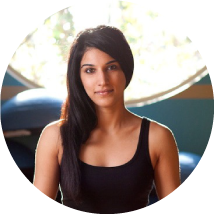 Shree provides one on one attention to her clients teaching the importance of correct posture and breath work. I’m grateful to be pursuing the path of yoga and sharing with others! I’ve seen many benefit greatly by cultivating a deeper appreciation for the breath and movement. Therapeutic yoga guides one to her own inner wisdom and helps one to cultivate a greater sense of being. It enhances feelings of connectedness, being grounded, calm, compassionate, present and strong. It creates tools for living a healthy balanced life and an outlet for stress. All at ones own pace, a breath at a time. Namaste. YogaMedics Therapist, Certified in Back Care and Custom Individualized Program. Darcie is Nationally Certified in Therapeutic Massage and Body work. She has been teaching yoga for over 10 years. 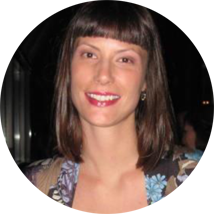 Darcie enjoys working with patients incorporating research-based YogaMedics therapy. She also enjoys the opportunities to be a part of the clients’ healing experience. She finds it truly gratifying to see the patients exceed all expectations, making their healing process boundless. Adam began practicing yoga in 2012. The healing power of his own practice lead him to Yoga Therapy. 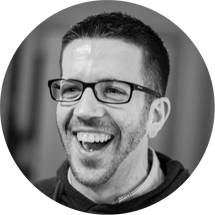 He believes that understanding the way the mind, body and breath come together help practitioners gain confidence, strength, and passion to live well again. Sarah Fink Carlin founded YogaMedics in 2008. After earning her Masters of Public Health from the University of Michigan, Sarah, a longtime yoga enthusiast, served as the Director of Strategic Development for the Michigan Health and Hospital Association. In the midst of working with hospitals, she saw the need for medical programs to truly provide holistic health and simultaneously address the mental, physical, and emotional impacts of injury and illness. Her beliefs that the integration of yoga and evidence based medicine could help people not only recover physically, but also find the confidence and internal strength to achieve overall health and wellness, fueled the creation of YogaMedics. 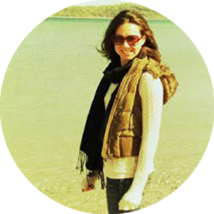 Sarah has been practicing yoga for more than fifteen years and has been a certified teacher since 2006. 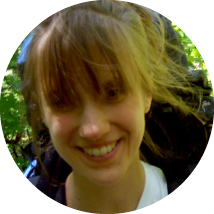 Sarah holds a Bachelor of Science degree from Kalamazoo College and she earned a Masters of Public Health degree from the University of Michigan. 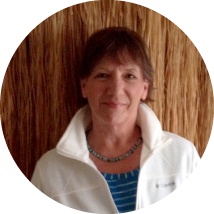 Anne has been a dedicated practitioner of yoga for over a decade. she has participated in multiple therapeutic yoga trainings during that time, and her experiences as a yoga therapist have taught her that we all have the ability to change our lives through yoga. Give yourself the gift of yoga…You won’t regret it! Medical Director & Clinical Assistant Professor of Medicine (Cardiology), Wayne State University School of Medicine. Medical Director, Cardiac Rehabilitation, William Beaumont Hospital. Assistant Professor, Division of Occupational and Environmental Medicine, Department of Family Medicine and Public Health Sciences, Wayne State University School of Medicine. President & CEO, Silas Home Care, Inc. Founder & President, YogaMedics, LLC. Founder & National Director of Kids Kicking Cancer, Clinical Assistant Professor of Pediatrics at Wayne State University School of Medicine. Yoga Specialist, Spine Care, YogaMedics. Yoga Specialist, Psychology & Addiction, YogaMedics. Corporate Director, Community Outreach Oakwood Healthcare System. Licensed Clinical Health Psychologist, Personal Life Coach, Yoga Therapist, Rochester Center for Behavioral Medicine, The Yoga Shelter, and Private Practice. Attending Physician Certified in Family Practice, Eastpointe Family Physicians. Director, Professor, Division of Occupational and Environmental Medicine(tenured), Department of Family Medicine and Public Health Sciences, Wayne State School of Medicine. Executive Vice President, Michigan Health & Hospital Association. Licensed Psychologist, Owner & Director, Ability Management Associates.